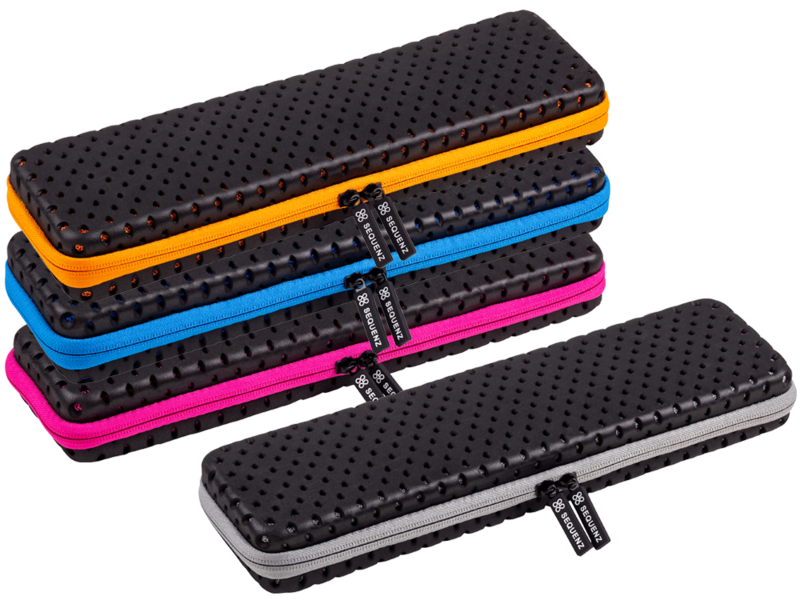 The nanoPAD2 is available in your choice of bold Black or bright White. Choose the color that’s right for you – match your computer, contrast your console – it all up to you! 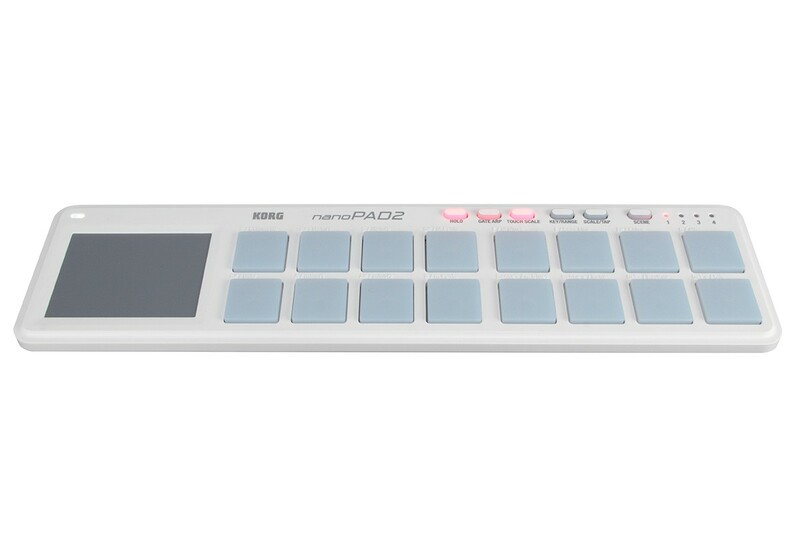 Using a USB cable to connect to the Apple Camera Connection Kit, Korg nanoSERIES2 controllers can be used with the iPad, without an external power supply (*3). 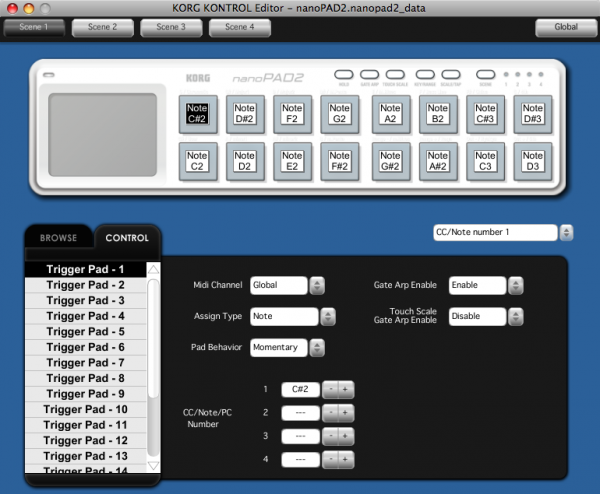 You can enjoy iPad App like KORG iMS-20 (*4) along with nanoSERIES2 (*4). 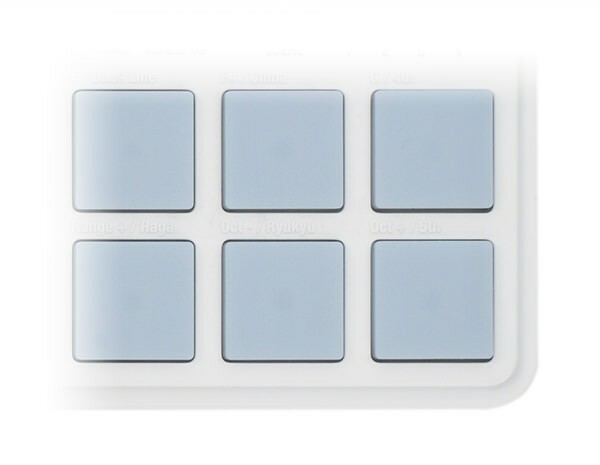 The X-Y pad can be used to control multiple synthesizer parameters. 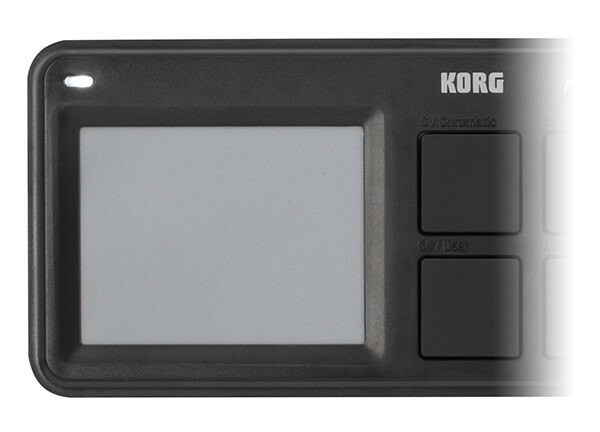 In addition, the new "Touch Scale” function lets you intuitively play phrases on the X-Y touchpad, just as on the kaossilator. 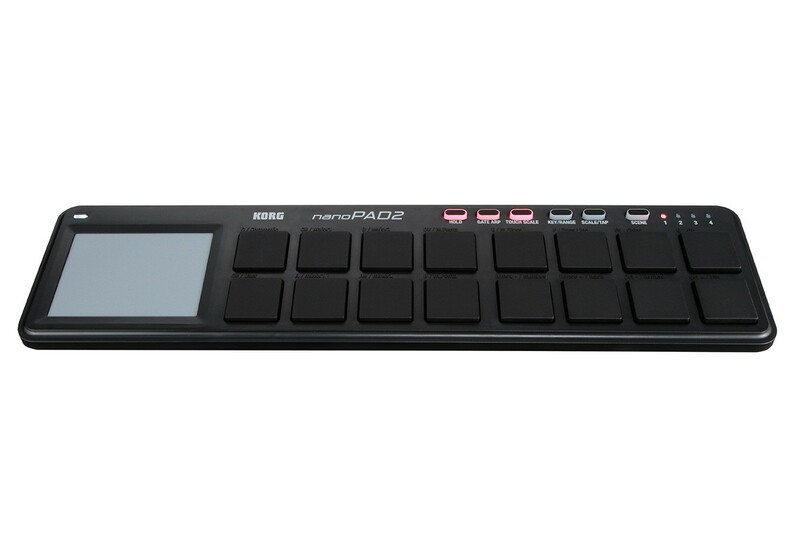 You can choose from sixteen different scales, and specify the root key and note range to ensure that your performance stays within your song. 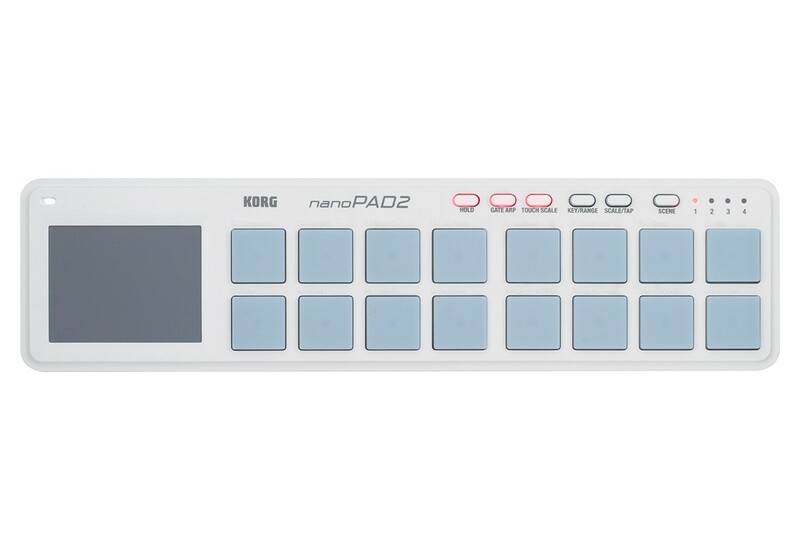 The "Gate Arp” function, borrowed from the kaossilator Pro, transmits note data based on tempo; Tap tempo and tempo sync are supported. 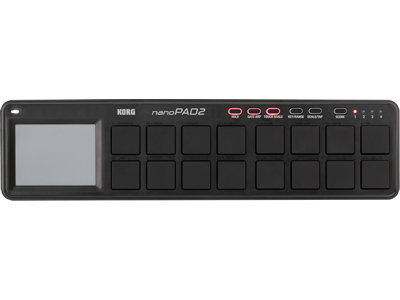 Combined with the Touch Scale, the Gate Arp allows you to play tempo-synchronized phrases and rhythms simply by stroking the X-Y pad or playing the pads. 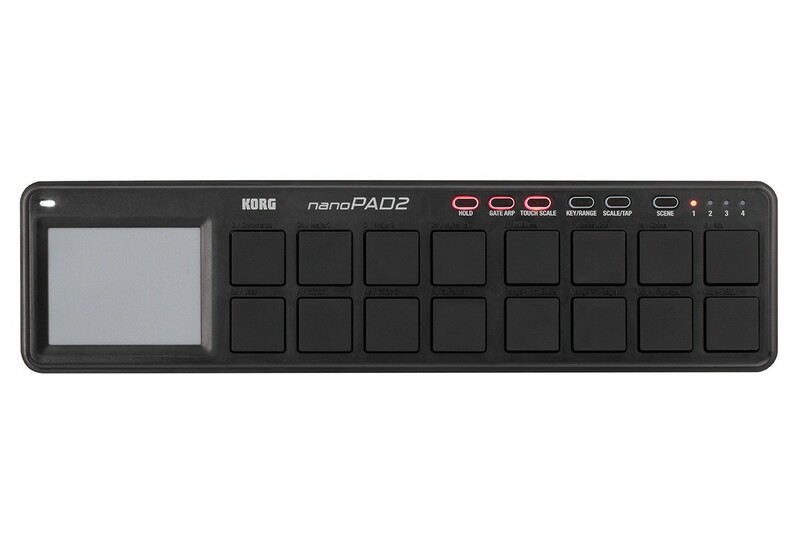 The nanoPAD2 works with the "KORG KONTROL Editor" software – available free on the Korg website. 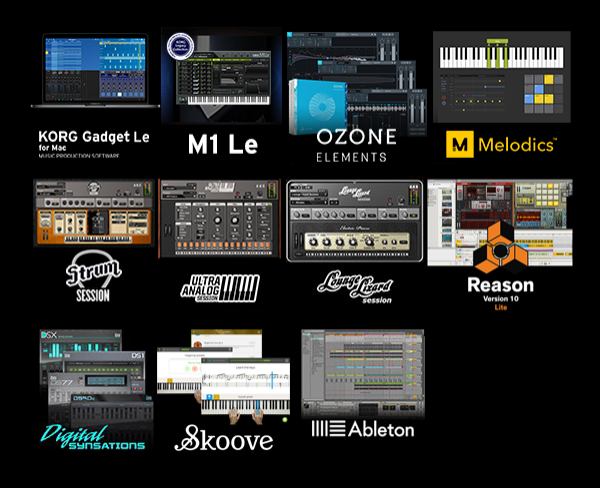 Load it into your computer, and use it to make detailed customized settings. Choose from a total of four velocity settings: three velocity curves or fixed velocity. You can also specify note numbers, create user scales for the Touch Scale function, assign chords, assign control change messages, and save your settings.